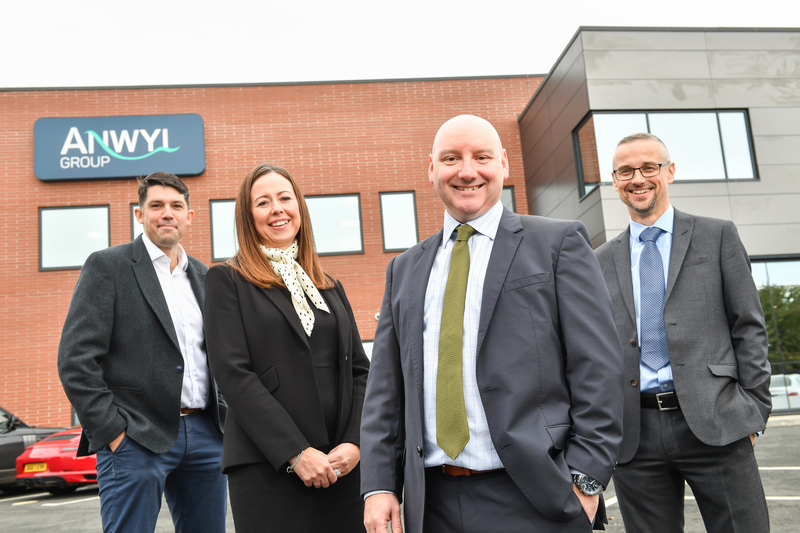 Award-winning Anwyl Homes has strengthened its team at its Flintshire Head Office with a trio of appointments, including two directors and one manager. Alex Wigfield, who previously worked for Bellway Homes, has been appointed Land Director. He is tasked with acquiring land and securing residential planning permission to enable the development of high quality new build homes in desirable locations across the North West. From Lymm, it is Alex’s responsibility to ensure the division has a suitable forward land supply position, allowing the company’s growth strategy to be attained. John Daglish, from Widnes, joins the housebuilder as Commercial Director responsible for the cost of each and every property at all new developments once Anwyl Homes has acquired land. Working with a team of surveyors, buyers and administrators, John is fully supported as he strives to achieve his objectives of controlling costs, assisting with accurate forecasting, helping to identify and manage risks as well as maximise opportunities. Completing the trio is Gemma Thompson, from Manley, who joins Anwyl Homes as Customer Care Manager tasked with ensuring the smooth day-to-day running of the customer care department, supporting the team as it looks after all Anwyl customers. The department strives itself on providing an exemplary personal service where each customer feels that their needs have been met in a timely and professional manner. Phil Dolan, Operations Director at Anwyl Homes, comments: “As the company continues to expand we are committed to supporting this growth by carefully selecting our new recruits, ensuring we have the very best person for every role. Established for more than 85 years, Anwyl Group has three divisions; Anwyl Homes, Anwyl Construction and Anwyl Land. Based in North Wales and operating across Wales and the North West of England, the family-run business is renowned for its thoughtful approach, bringing care and integrity to all aspects of every project in order to exceed expectations and ensure complete satisfaction for customers.